The Chicago Municipal Code requires turning motor vehicles to "give room" to bicycles when negotiating a turn. What is interesting about this aspect of the City's code is that it explicitly addresses situations involving bicycles and does not "lump in" bicycles with motor vehicles. Section 9-16-020(e) requires vehicles making a left-hand-turn in front of an oncoming bicycle to yield the right-of-way to the bicyclist when the bicycle is in the intersection or so close to the intersection that the presence of the bicyclist is a hazard. Section 9-16-020(f) deals with motor vehicles attempting to make a right-hand-turn in front of a bicycle traveling in the same direction. This section requires the motorist to only make the right-hand-turn when the bicycle has been overtaken and is "safely clear of the bicycle." 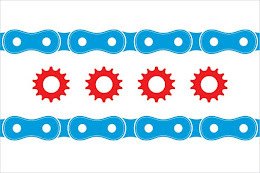 The Illinois Motor Vehicle Code, by contrast, addresses all vehicles on the roadway and does not distinguish as to any additional duties or requirements when a bicycle is involved. 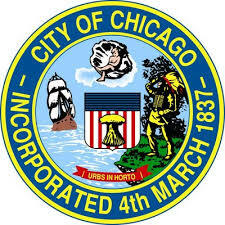 From a legal standpoint, this offers bicyclists in Chicago greater protection under the law than exists in other cities and towns in Illinois.